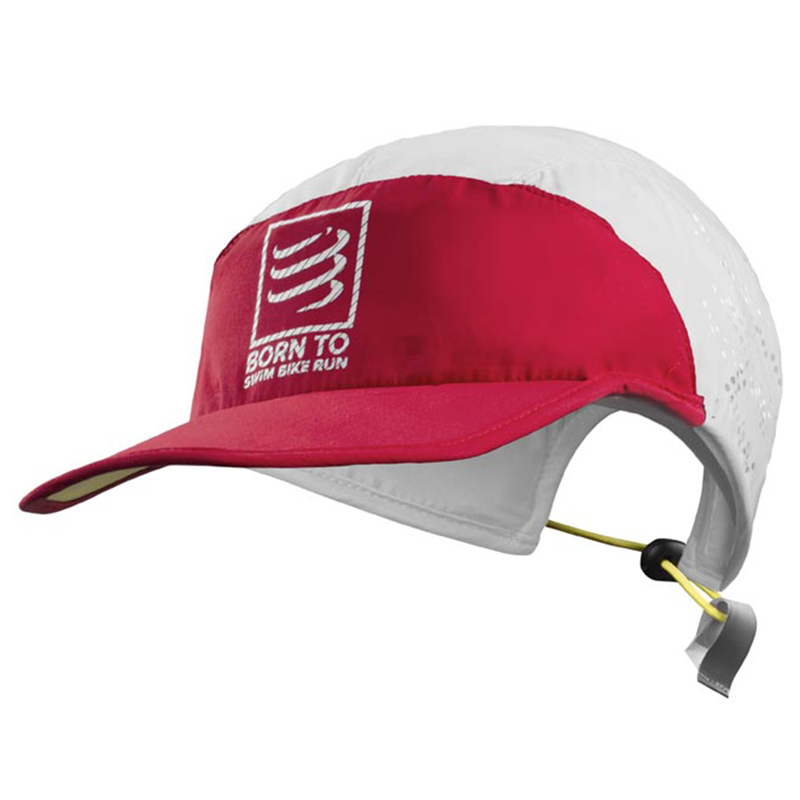 Ultralight, this cap is perfect for ultra hot runs and a special Swim-Bike-Run edition has been designed. Offering ventilation and comfort, the Pro Racing Ultralight Cap shades from the sun and a thicker fabric on top protects from the heat and cold. Around the head, a ventilated mesh keeps perspiration away. Its innovative peak stays up to clear your vision and down to protect from sunrays. Designed in limited edition, this cap will be your must-have accessory on the Swim-Bike-Run events. - Extremely light, it will cause no discomfort on the forehead. - This cap fits all head sizes, thanks to the adjustable strap at the back. - Wholly comfortable on the head, you just forget it and stay focus on your race. - Ultralight, it does not retain water and dries quickly.